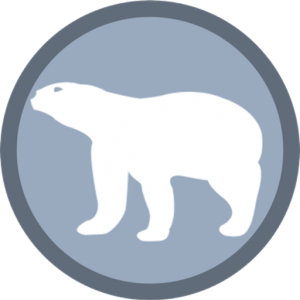 Home Behavior Do Polar Bears Poop in the Woods? 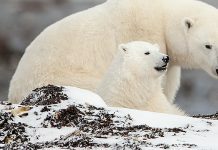 People who ask such questions usually do not know the precise location of polar bears because if they do, they would probably know it all. The reason why I’m saying is that polar bears do not live in the woods. They never were! 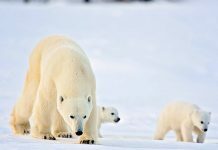 Polar bears inhabit the Arctic that lies in the North Pole and where the temperature freezes nearly all year round. Arctic is not a suitable place for trees or even plants to grow. The best bears can ever observe are tundra grasses and small shrubs. 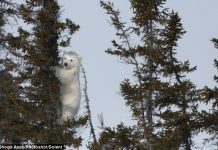 Therefore, the question of polar bears pooping in the woods does not arise for the Arctic is almost exclusively treeless. 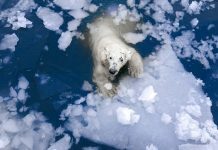 Where Do Polar Bears Poop? Polar bear’s first cousins, grizzlies, are thought to poop in the woods for they live in the habitat which is primarily dominated by the trees. But polar bears never poop in the woods. They poop when they have to regardless of the place. 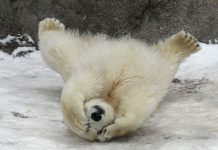 Since polar bears make dens so you probably wonder if they do defecate inside the den. The answer is no! 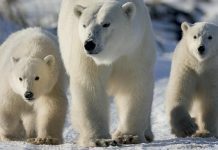 Polar bears do not defecate in the den because they (especially the females) eat nothing during the denning period.